We’re very partial to a bit of monochrome at Go Modern – despite the in-your-face trend at Milan this year being a whole raft of designs produced in hot, zingy, jewel colours. So the latest exhibition at the National Gallery is the place we’ll be heading to for some inspiration over the next few weeks. Their ‘Monochrome’ exhibition looks fab, with over 50 works from the last 700 years to the present on glass, vellum, ceramic silk, wood and canvas. According to the National Gallery blurb, ‘Monochrome’ is “a radical look at what happens when artists cast aside the colour spectrum and focus on the visual power of black and white, and everything in between.” Love it. And the National Gallery is also one of our fave places for afternoon tea, with amazing views over the rooftops and down to the Houses Of Parliament. Cake and art – got to be one of the world’s best combos! 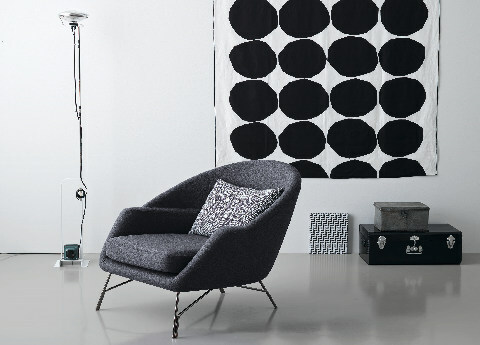 So, a little curated Go Modern gallery here of some of our latest black and white designs. 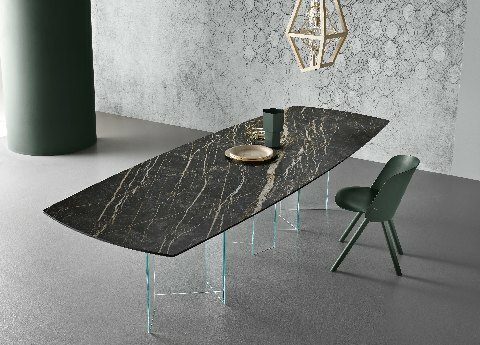 The Metropolis Ceramic Dining Table from Italian glass wizards Tonelli Design, created by Giuseppe Maurizio Scutellà for their new 2017 collection. Amazing zig-zag shaped glass table legs with the top made from beautiful marble-look ceramic glass. This is our current kitchen must have. 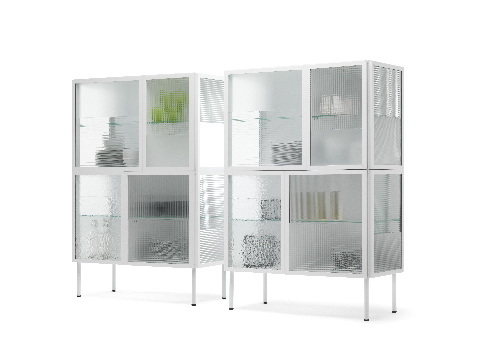 Mogg’s Vetrinetty glass cabinets (there’s a sideboard too) designed by Marcantonio Raimondi Malerba. We love so much of what Malerba produces and this is now top of the list. Look closely at the glass – different patterns and textures for each panel. And the glass is just about transparent enough to show off what’s inside (but not show the clutter!). So, if you’re looking for a chair that’s slouchy comfy, but with a bit of lower back support…Saba Italia have nailed it. The name of this chair says it all. Chillout. The latest from Giuseppe Viganò. And chill-out you certainly will. 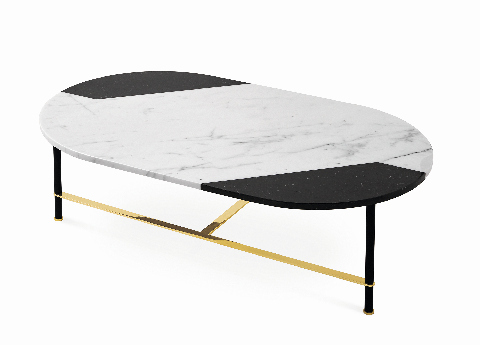 And finishing with the stunning, glamorous but oh so simple Cookies coffee table, part of Gallotti&Radice’s 2017 collection, and designed by Pietro Russo. Marbles, woods and elegant metal detailing – Gallotti&Radice are the supreme masters at this combo. Next PostNext Winter Glamour. Metallic Style.